Trekking in Nepal offers variety of the trekking routes and different delights of Mother Nature, culture, traditions, peaks, hills, forests and community. The Manaslu Region of Nepal is one of the diversified trekking routes in Nepal. If you are looking for the adventure of your lifetime with minimum of the hardship yet you want to savor the delights of glacial river, mountains, hills, forests and villages, then Manaslu region trekking is the right choice. This trekking route of Nepal covers four district of Nepal including the capital city Kathmandu. The trekking trail leads you to the magnificent landscapes and rural setting of Lamjung, Gorkha and Dhading. The trekking starts from the bus ride to Arughat, the small town on the banks of Budhigandaki River. The rural postal road ride through Dhadingbeshi up to Arughat enthralls you with the adventurous and adrenaline experience of uphill and downhill road trip. The small town Arughat would welcomes you towards the Manaslu region with its unique hospitality of different background of people mainly Brahmin, Gurung, Muslim and Chhetri. The bus ride continues up to the Sete along the Budhigandaki River passing small town Arkhet. The walking starts from Sete of Gorkha district. The Sete lies exactly opposite of the epicenter of April Earthquake, Barpak, Gorkha. The trekking in Manaslu region mesmerize you and takes you the different zone of your imagination. The city dwellers would be enthralled to see the smiling mountain up ahead and the friendly villagers waving at you without any self interests. The selfless smile of the people of the area and the soothing sound of Budhigandaki River would revitalize your ego and enhance your creativity. The crossing of the Suspension bridge along the trail would be another thrilling experience for the trekkers. The beautiful presentation of the region would enthrall you and gives you the once in a life time event. The trek is unique as it follows the Budhi Gandaki River all the way to Larke La Pass. 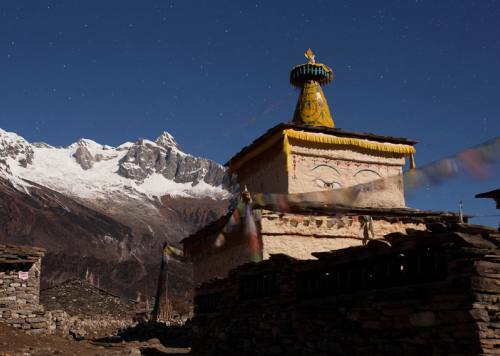 Manaslu in local term refers to Holy Spirit or soul. 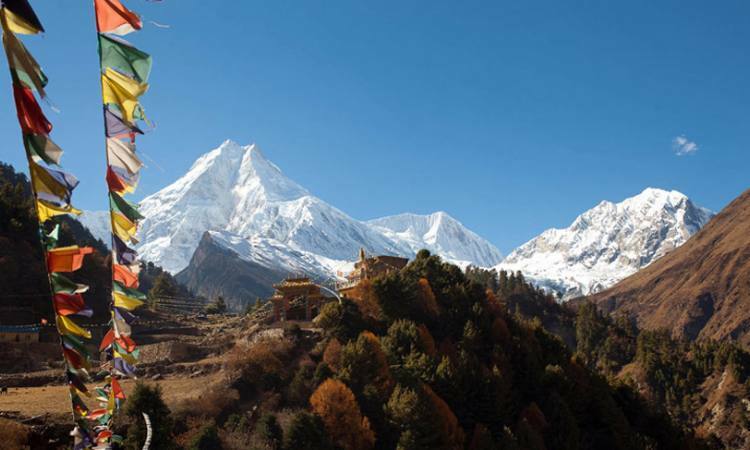 The Mount Manaslu is also called Kutang in local term. This is widely popular as the “Mountain of Soul” as the Manas in sanskrit means minda and soul. The Backpacker is specialized in this region’s trekking. Most of the Sherpas and trekking support staff of Backpacker Treks are from this region. This would be an added advantage for the trekkers to feel the authentic taste of Manaslu region. Come and explore the magnificent Manaslu with us. Join the team of Backpacker, Holy Spirit viz. Manaslu is waiting for you to serve the natural delights. Make your holiday in Nepal the worthwhile one and turn the vacation in Nepal into the tale of your life. Pack your bags, Backpacker is here for all the fellow trekkers.